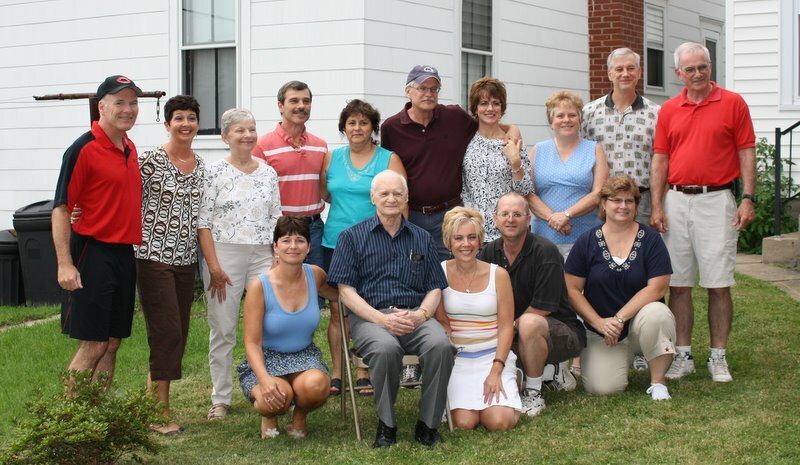 Photo from the 2013 Fischer Family Reunion. Click here to go to a gallery where you can purchase prints. This is not an ending but a new beginning. This is not goodbye but until we see you again. The man whose life we celebrate today has touched all of our lives in so many ways. Dad was a loving husband, a dedicated father, a proud grandfather and a fun-loving brother, uncle and friend. 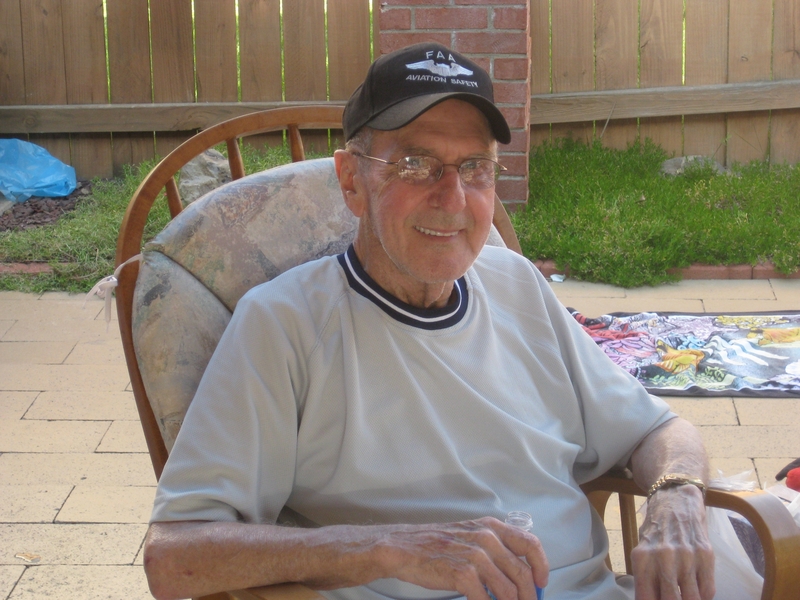 Dad believed that faith, family, friendship and fun were all that mattered. He was a true gentleman and the most selfless person we have ever known. He worked hard every day of his life and gave us all that he had to ensure our happiness and well-being. As hard as dad worked, he played even harder. He loved every holiday, vacation, and of course those happy hours with Manhattans and poppy snacks. 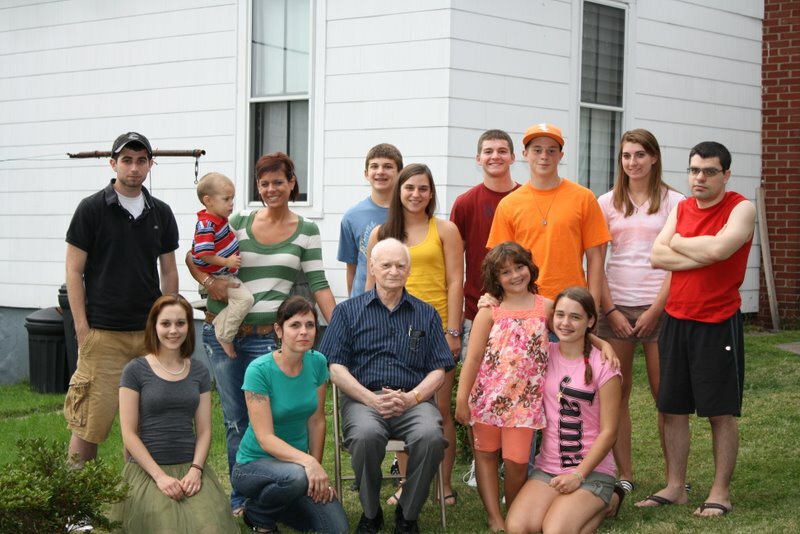 He didn’t need an occasion for a family get together and opportunity to see his children and his beloved grandchildren. He treasured all the times we were able to be together. He especially loved Christmas and all its traditions. From combing the woods for the perfect Christmas tree – even if he had to drill a hole and insert a branch in a bare spot, decorating the outside of the house with colored lights, helping mom make sand tarts by putting the nut in the exact center of the cookie, blazing fire in the real fireplace, egg nog and Christmas music playing with his whistle accompaniment. Dad was quite the whistler. Vacations at the cabin will always hold very fond memories. There were many happy times not just with us but also with many of you. We were always surrounded by aunts, uncles, cousins and friends to share in the good times – there were always plenty to go around. Memories of times spent in Myrtle Beach will also remain with us forever. Dad loved the ocean, body surfing with us kids, walking along the shoreline with mom, and playing putt-putt golf at Pelican Point and that elusive hole in one at the mole hole. Eight years ago after dad and mom finally retired, they decided to move back here to “Weemsport”, their hometown where they had met at the ages of 5 & 7, grew up as friends and neighbors, fell in love, married and started a family. Dad was so grateful for the opportunity to re-connect with family and friends. One of his greatest joys was Tuesday golf at White Deer in the league with the awesome foursome: Dad, Uncle Don, Uncle Bob and Monsignor McGough – quite a force to be reckoned with, maybe not on the golf course, but definitely in life. He loved the game and even made his own clubs for himself and many of us. When Dad was no longer able to do the things he loved with the people he loved, he did begin to slip away a little bit at a time. But he never ever lost his sense of humor that compared to no other. That brilliant twinkle in those beautiful blue smiling Irish eye never diminished. He always wanted to make sure we were all ok. Well dad, “it bees ok”. We will miss you terribly but you taught us well. All we have to do is follow your example of strength, courage, true commitment and endless love. Dad was a man of few words and struggled for the words he wanted to say, as did we. He’d say, “Wait a minute, wait a minute”, shortly followed by “Never mind, I forget”. But it never mattered, “I love you”, always came through loud and clear, both with and without words. Thank you mom for taking such good care of him. Thanks to all of you that helped mom when she needed it and were there when we could not, especially Cathie and all the Hospice and Home Care angels. Thanks to all of you who visited and brightened his days. Thank you Dad for everything. Most of all thank you God for the beautiful gift of Dad. Our hero, the wind beneath our wings. Fly away Dad and Godspeed. “Go now in peace and take our love into paradise.” You have reached perfection. Save us a spot next to you and look over us. We hope we can make you half as proud of us as we are of you. We all know you are only a breath away. The song, To Where You Are, sung by Josh Groban was one of dad’s favorites. We play it now as we say so long until we see you again. 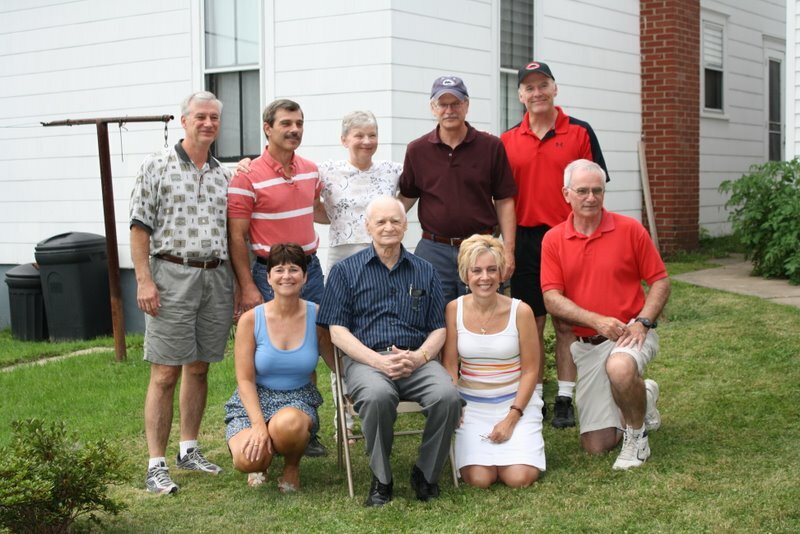 The oldest living member of the John Fischer family, Ray Fischer, celebrated his 84th birthday on August 21, 2009 with family members. Josh Fischer (son of Matt Fischer, grandson of Robert L. Fischer) and his wife Annie, announce the birth of their daughter, Stella Rose, on July 18, 2009. 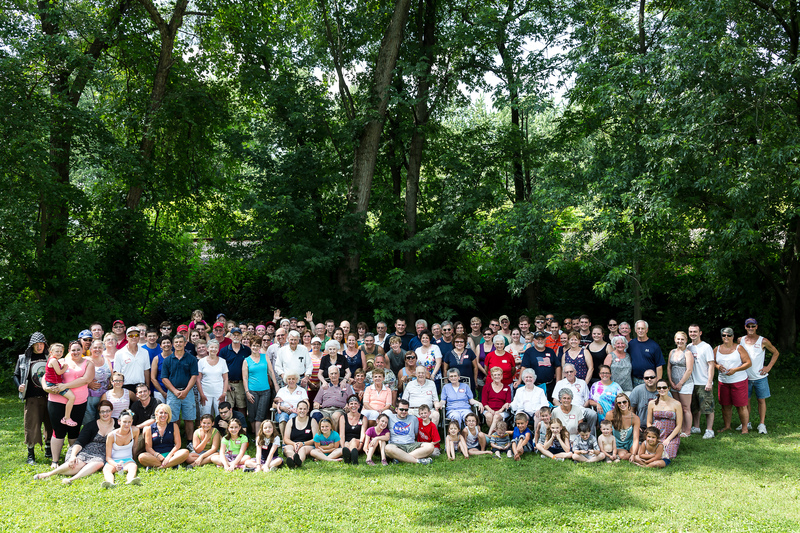 The 42nd Annual Family Reunion was held on Sunday, July 5 on the grounds of the Zafar Grotto in South Williamsport PA.
Tony Fiorini and Maureen Long got married in North Chelmsford, MA.